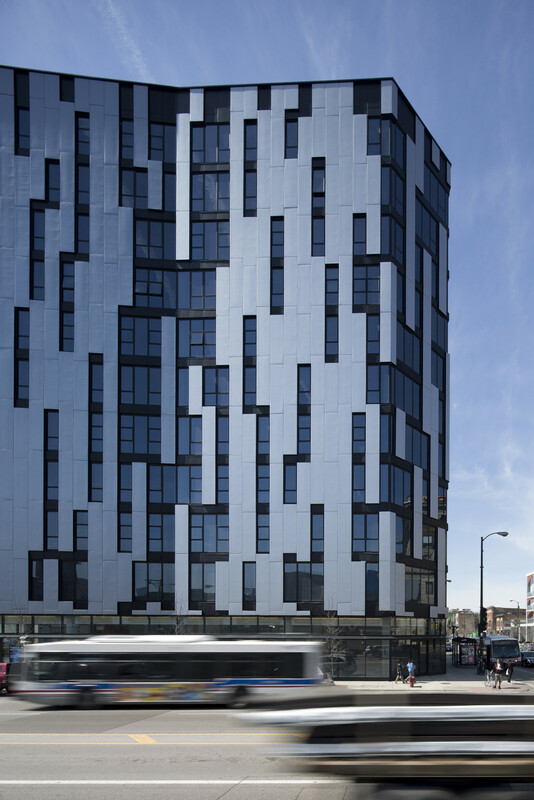 Vertical metal panels stitch themselves across horizontal floor slabs, folding around the building like a woven textile. 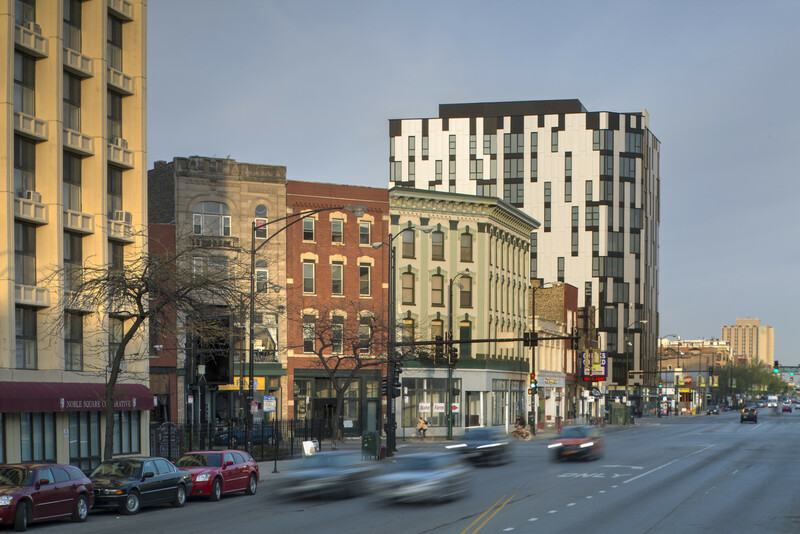 The staggered irregularly placed windows create a sense of movement that is reflective of this fast moving, transient intersection and mimic the scale of the eclectic neighborhood context surrounding it. 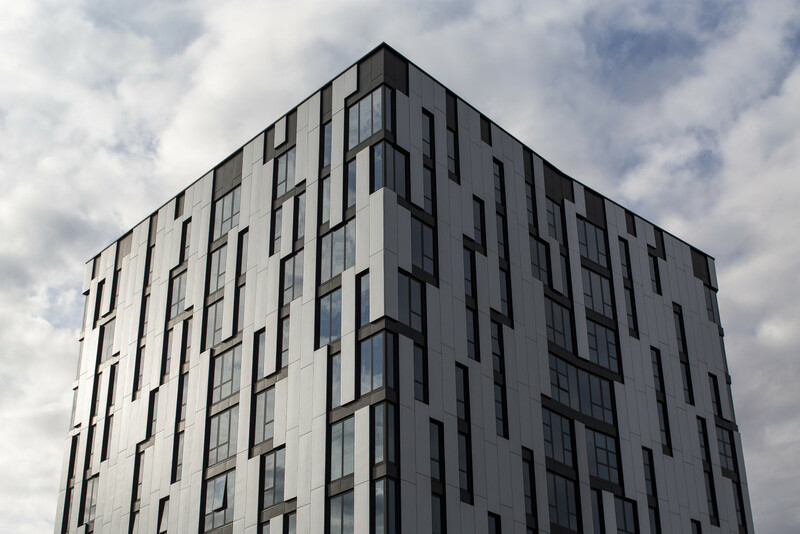 Though seemingly random, the windows are carefully composed, offering each unit specific views and optimal exposure to natural light. 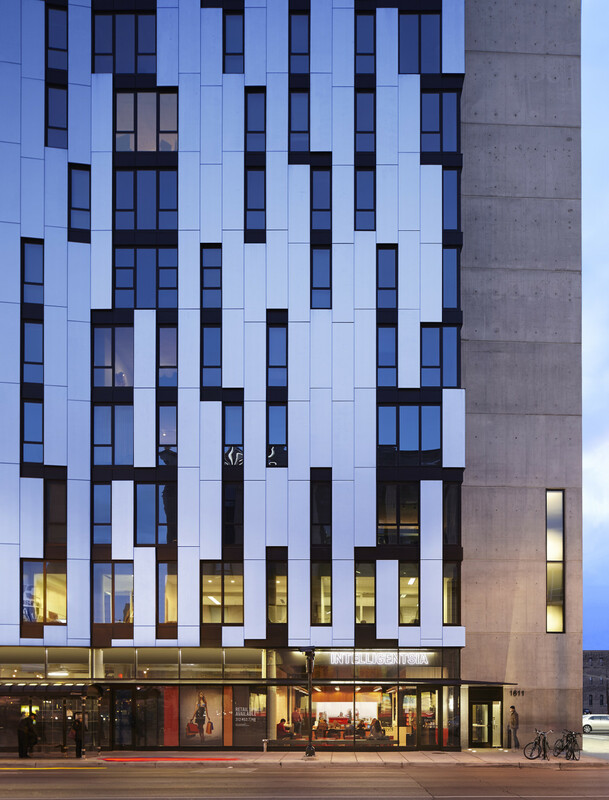 Through its strong graphic pattern, the building serves as a distant landmark for the urban plaza it anchors. 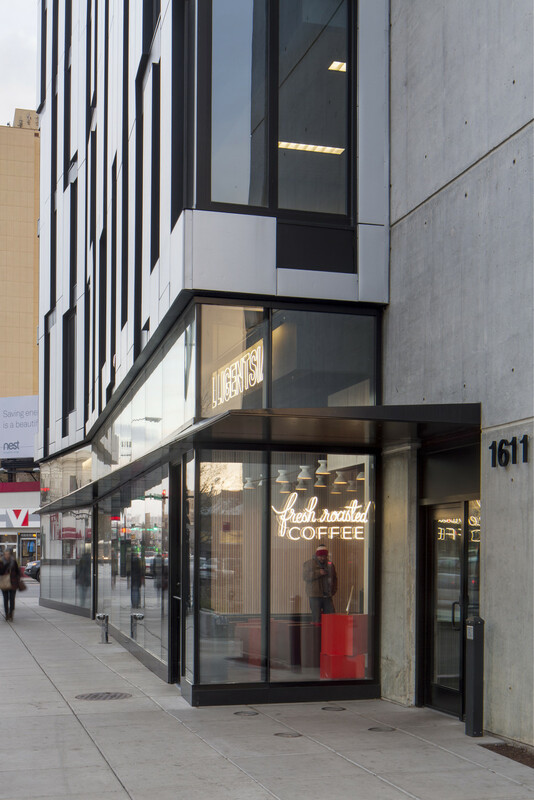 It’s facade folds inward to broaden the sidewalk and prioritize the pedestrian experience while providing cover under a sculptural canopy. 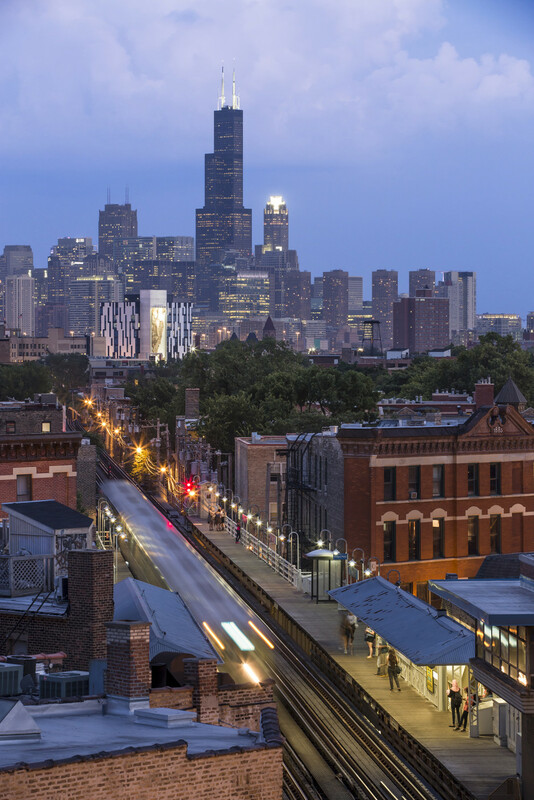 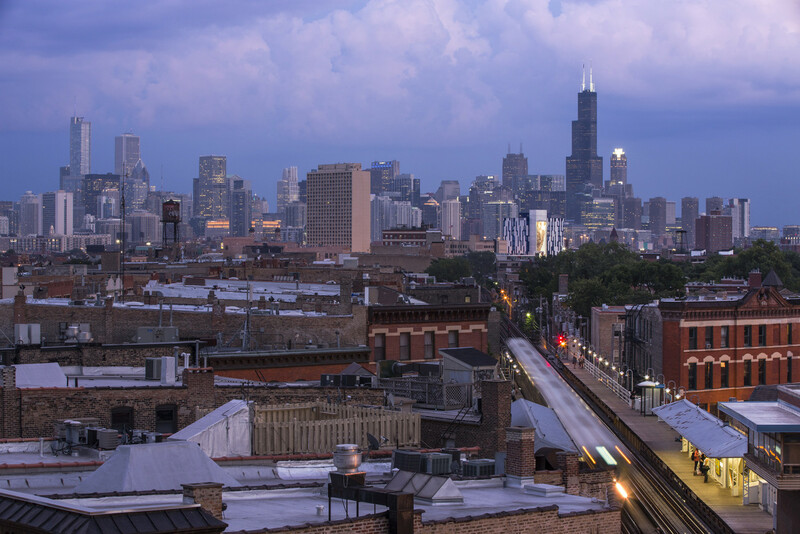 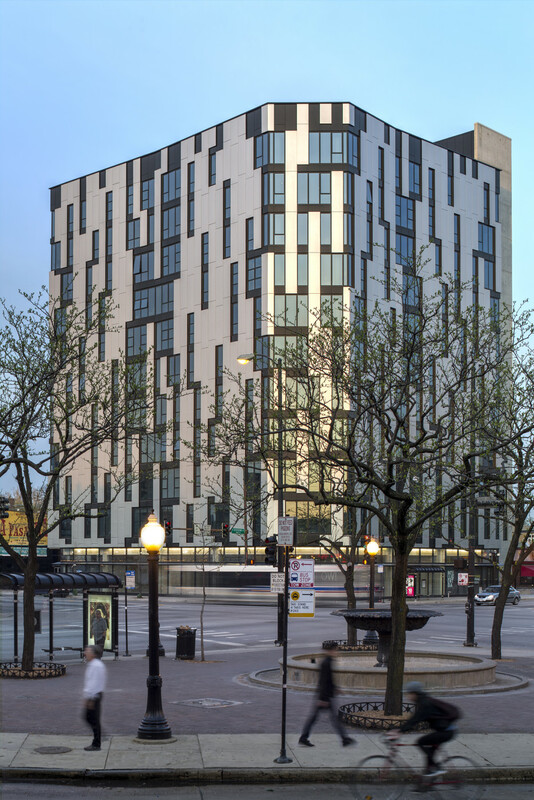 The project marks an environmental milestone as the first transit oriented development (TOD) within the City of Chicago. 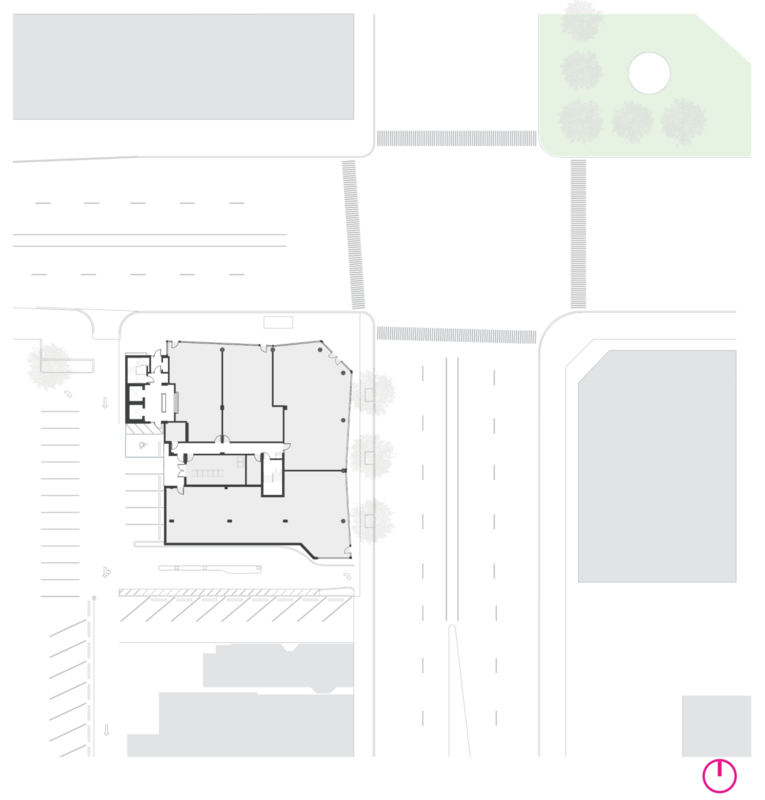 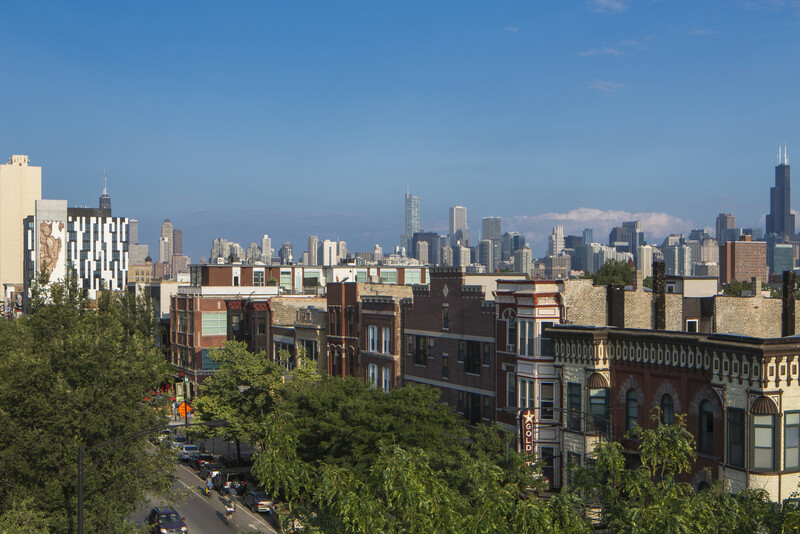 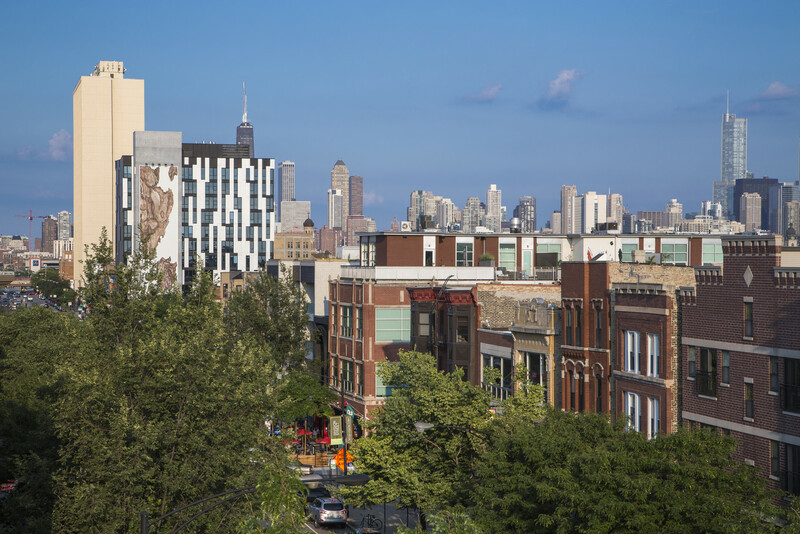 By eliminating parking for residents, 1611 West Division is devoted to mass transit goers, bicyclists and pedestrians, allowing for increased housing density without increasing traffic congestion. 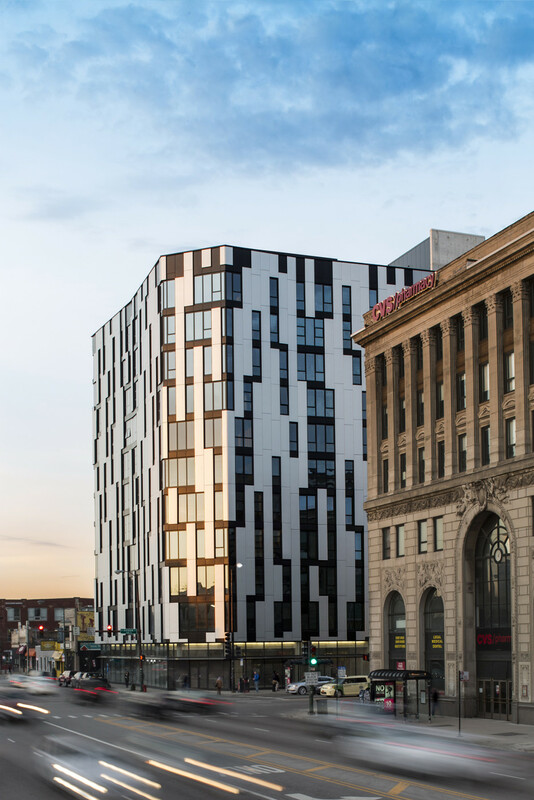 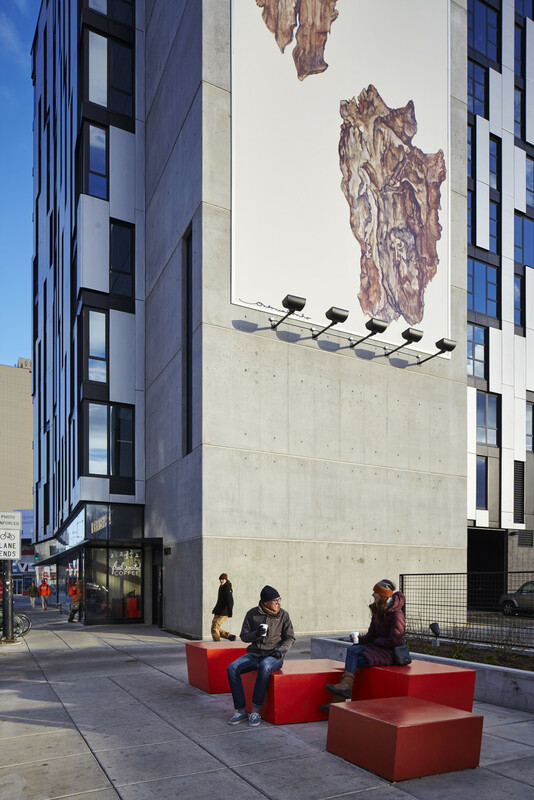 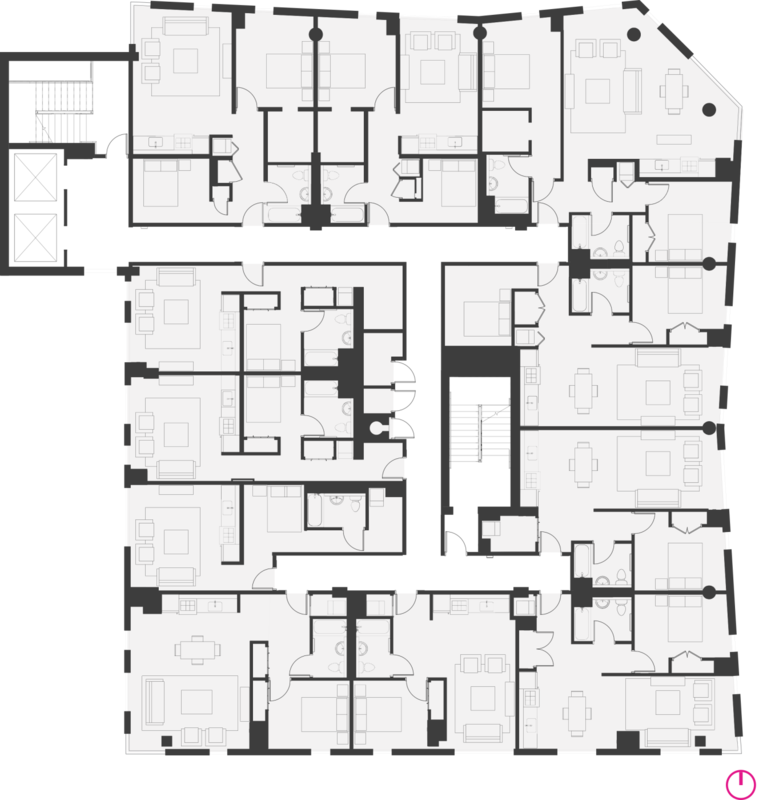 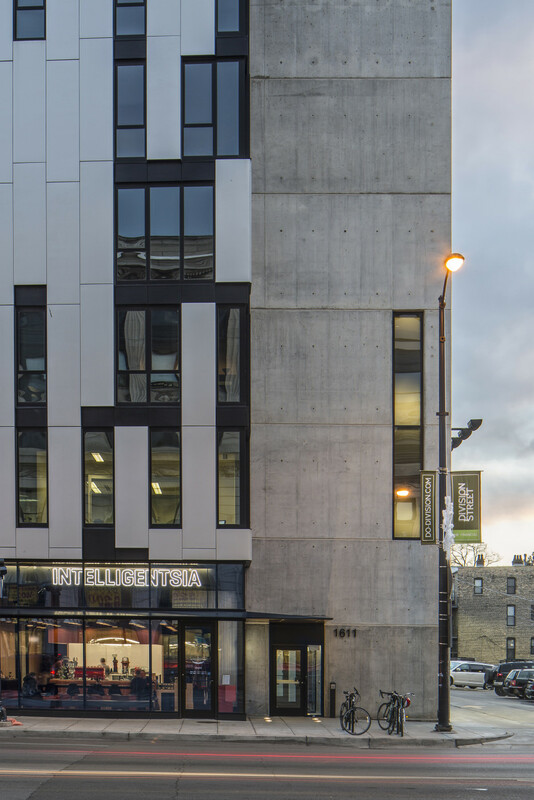 2015 ULI Vision Award "Smart TOD"
"Millennials Don't Need All That Parking Space"
"Transit-Oriented Apartment Projects a Positive Development"
"Apartment Building Just the Ticket for Commuters"